I find nothing particularly wrong or offensive with Planes. It's a cute and whimsical little film, which will entertain little children, from toddlers on down. The unfortunate thing about Planes is that in many ways, it resembles something that really would have worked better as either a straight-to-video release or maybe even a television special on Disney Junior. Dusty Crophopper (Dane Cook) dreams of competing in the Wings Around the World aerial race. However, he's a crop duster, which are not built for the kind of flying a competition would call for. While his cropdusting mentor Leadbottom (Cedric the Entertainer) and mechanic truck Dottie (Teri Hatcher) try to dissuade him, his fuel truck friend Chug (Brad Garrett) encourages him. Dusty goes to legendary war plane Skipper (Stacy Keach) to ask for his help in coaching him. Skipper at first refuses but watching how persistent Dusty is, Skipper takes him under his wing (pun intended). Circumstances now work to Dusty's favor and Dusty Crophopper now is the first cropduster to enter the Big Race. He now goes up against a slew of great flyers. There's Bulldog (John Cleese), the snobbish British plane. There's El Chupacabra (Carlos Alazraqui), the passionate Mexican plane. There's Rochelle (Julia Louis-Dreyfus), the cool Quebecer femme. Then there's Ishani (Priyanka Chopra), a beautiful Indian airplane. However, as good as all these planes are, they are going up against the legendary Ripslinger (Roger Craig Smith), three time champion. Now they all race around the world to be the champions, and it's going to take all of Dusty's strength and courage to win. Dottie, Chug, and Skipper must stay behind, so Dusty has only forklift Sparky (Daniel Mann) to help him. El Chupacabra, hopelessly in love with Rochelle, is constantly rebuffed. Ishani and Dusty are somewhere between friends and romantic partners, but Ripslinger, at first dismissive of Dusty (as is the world entire) soon starts discovering that slowly but surely, Dusty is pulling ahead. This despite Dusty's secret: he's afraid of heights! Cropdusters, who don't have to fly fast or high, are not used to either. As they go around the world, Dusty makes choices. He loses his sprayer to allow him to go faster, a decision that basically makes him less of a cropduster. Eventually, to the shock of the world, Dusty pulls ahead when he is the first to arrive in Nepal. Ripslinger gets his henchmen to disable Dusty's antenna as he flies over the Pacific, but he is rescued by the U.S.S. Dwight D. Flysenhower. Here, he discovers that Skipper's war record consists of one battle, and the truth comes out: Skipper led his squadron to total decimation, and the shock left him unable to continue. 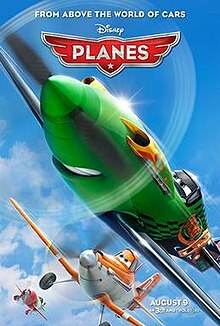 Due to Dusty's acts of kindness throughout the race, all the other planes join to help him get fixed up, and in the last leg from Mexico to New York it becomes a propeller-to-propeller race between the underdog Dusty and the arrogant Ripslinger for the championship, and Skipper gets a chance at redemption. I have to be honest: I found nothing really horrible about Planes. It was cute enough and I imagine little kids will like the bright colors and predictable story. There are a couple of sequences that I think might be a bit frightening to the target audience (the World War II aerial recreation and Dusty's plunge into the Pacific). I was surprised to see that these scenes, rather intense for any child still watching Planes, were not toned down. In many ways, Planes is predictable: a little plane who dreams of reaching the sky has to overcome all kinds of adversity to reach his goals and finds a pretty girl in the process, plus that being good is more important than winning. Yet, anyone watching Planes should remember that it is suppose to be predictable. Oddly, what I will criticize Planes on is on the stereotypes of the various nationalities, particularly the hot-blooded lucha libre-mask wearing El Chupacabra. I was not amused he had to both speak and look like that, but he also is someone who is about Dusty's only real friend from the get-go, so that's a plus. It is also nice to see Indians represented in a generally positive light (and made the love interest). In terms of performances, again they didn't go out of their way to be innovative. Cook, the most untalented comic to achieve cult popularity (I think my friend Fidel Gomez, Jr., who may or may not be dead, said it best when after watching Cook's stand-up, said what Cook really needs is some good Prozac), acquitted himself decently as the eager young cropduster. Alazquiri did what he could with the stereotype El Chupacabra, and a credit to Louis-Dreyfus in that I didn't recognize her as the somewhat haughty Rochelle. Cleese, sadly, is underused, but I am not going to be persnickety about that. Keach was much better as Skipper, bringing a sense of world-weariness and regret to a part that needed such. While the story itself isn't the greatest, I confess to getting a kick out of Dwight D. Flysenhower. It was cute, it was amusing, and it's nice to see the military portrayed in a positive light (something we should all get behind). 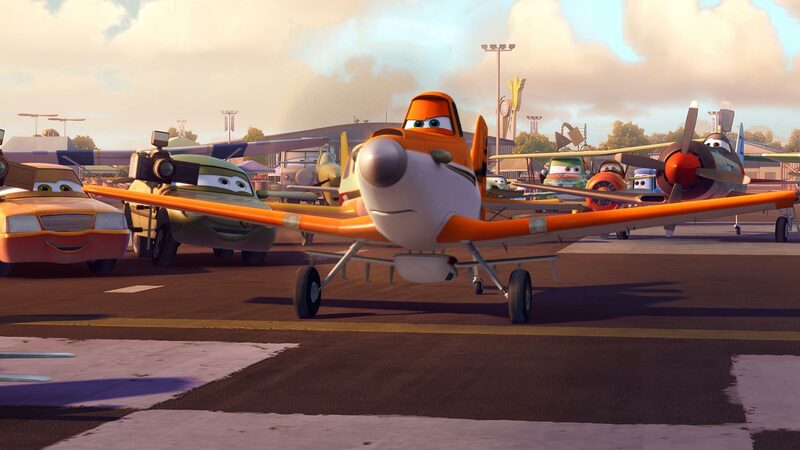 Is Planes a great film? No. Is it a landmark in animation? Certainly not (Planes is not the reason Hayao Miyazaki is retiring). However, Planes is cute enough, and I imagine it's a good way to get attractions, merchandise, and inevitable sequels off the ground. I do have one last confession. 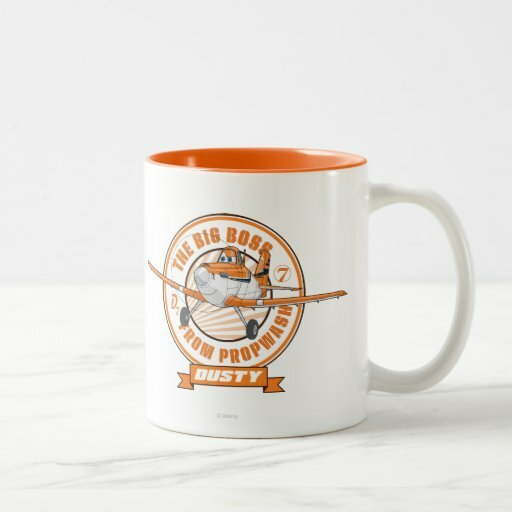 I would so much like to get a Dusty Crophopper mug. Poppa wants one for Christmas. Do you think when I go to Disneyland or Disney World I could get one?